John Boccio. Photos by Laurence Kesterson. 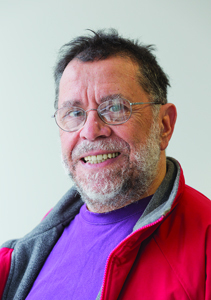 In 46 years at the College, John Boccio has taught courses on, among other topics, quantum theory and chaos, fractals, complexity, self-organization, and emergence. His spring 2013 semester course, In Search of Reality, examined the assumptions, theories, and experiments associated with the study of reality in quantum physics in an attempt to decide whether the existence of an intelligible external reality has any meaning. The popular professor has authored, besides numerous shorter publications, two books on quantum mechanics, both of which he uses in his courses. The first is a junior-senior–level textbook for physics majors, which has evolved during decades of teaching and performing research in quantum mechanics. The second was used for the first time with first-year students in spring 2012. 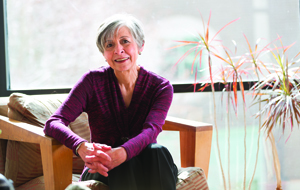 Aurora Camacho de Schmidt came to Swarthmore 21 years ago after serving as director of the American Friends Service Committee’s Mexican-U.S. Border Program and working as a policy analyst, civil-rights advocate, and writer. Much of Camacho de Schmidt’s teaching, focusing on literature that embodies the struggles of marginal people in the Americas, reflects her research. One of her main areas of research examines the work of one of Mexico’s best-known journalists and authors, Elena Poniatowska. In collaboration with her husband, Arthur Schmidt, a historian at Temple University, she edited and translated one of Poniatowska’s major chronicles. Most recently, she published articles that investigate the links between visual images and the written word. 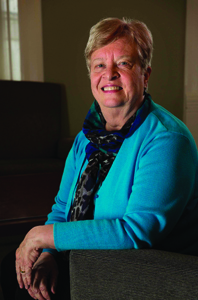 Myrt Westphal came to Swarthmore in 1987 as assistant dean and director of academic life, where she dealt with all issues pertaining to student housing, residential life, disabilities, counseling and academic support, advising on fellowships and prizes, and policy formulation. As associate dean of student life, she directed the student life team and was responsible for housing, resident assistants, the student judicial system, and student activities. Westphal describes her role as a dean as similar to that of a parent, based on respect, kindness, and adherence to principles. She also kicked off the highly popular Bedtime Story program with her readings of Goodnight Moon and Frederick.